Some of the most exciting Billiards and Pool Action of our time - Streamed Live for 3 years running! Please visit the "POV Pool Channel" on "YouTube" for a look at our archives! 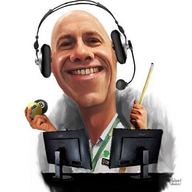 "Uniting the billiards world from all Points Of View" For updates, sponsorship inquiries or event details, visit http://www.povpool.com or join the Facebook 'group' page; 'POV POOL'.